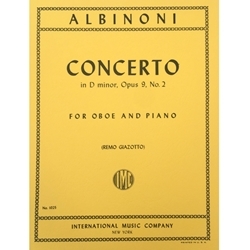 Composed by Tomaso Albinoni. Piano reduction of the orchestral score by Remo Giazotto. Published by International Music Company.